We have set up this page for the purpose of giving some recognition back to those who have helped our cause by spreading the word, getting our name and web site address out to those who might truly need help, but mostly for those who believe in us enough to put their reputation on the line at times to help in our efforts. We appreciate the public attention and it is our hope that these articles and radio discussions will bring forth those individuals that might be weary or timid of coming out publicly with activity they might be experiencing. watch us, they hear us, they interact with us, they once were us. history and our investigations there. 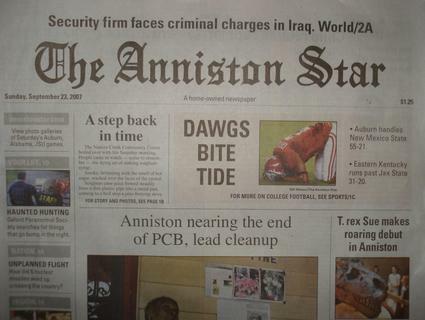 On September 23rd 2007, The Anniston Star published a story on The OPS Team. They accompanied the group on an investigation at a site in Oxford, Alabama known as Hell's Gate Bridge. 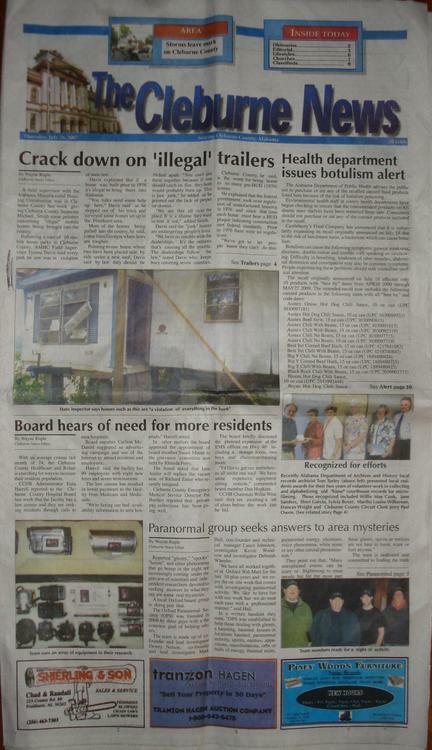 The Anniston Star also placed a video of the Ghost Hunt on their web site (annistonstar.com). On Halloween night 2007, Fox 6 News featured OPS in a news segment, That's Life, with news reporter Chris Montana. 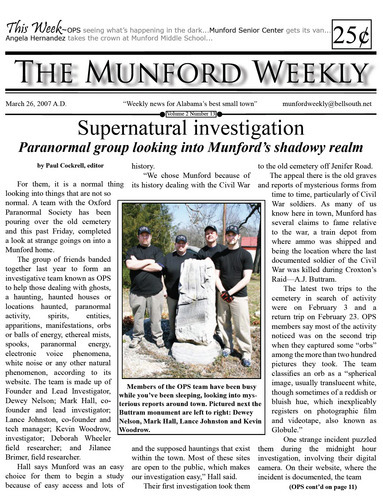 The OPS Team was interviewed at Hell's Gate Bridge, located in Oxford Alabama, concerning the claims and reports of the supposed haunting and the visions of the fiery gates of Hell being seen upon leaving the bridge.